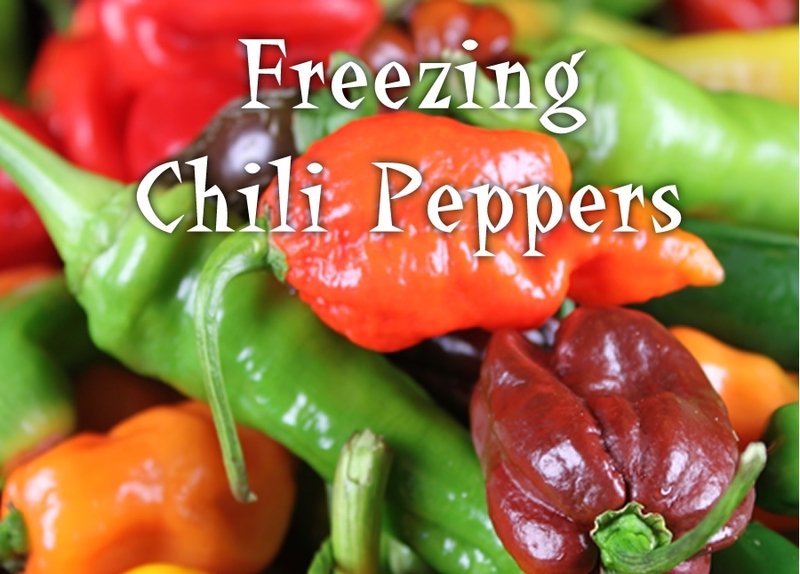 Freezing chili peppers is a good idea if you have a large crop and want to save them for later use. You don’t have to cook your chili peppers before freezing, although you can skin/peel them if desired. Just keep in mind that after you thaw them, the skins usually come right off easily. Simply wash the peppers, dry them completely, drop them into a ziplock baggie, and set them in the freezer in 2 lb bags. You can also freeze roasted chili peppers and even chop them up before freezing. When you thaw the peppers out for later use, they can become limp and rather squishy (though not always), but they won’t lose their flavor. We asked grandma, who has been preserving peppers for much longer than we have, and she says freezing is her preferred method. Grandma likes to simply wrap them in tinfoil and freeze. It works for grandma. See below for other information to help you with your chili pepper harvest. 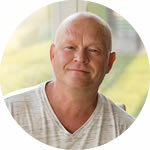 There are answers to some of the most common questions I receive on the site. How do I get the crunch back from frozen jalapeños. Ferozs, that’s a tough one. Once they freeze, they soften up. I really don’t know of a good way to do that. Sorry. I had about two dozen Hatch green chiles left from making tamales. They have been in the fridge about a week. Can I refreshed them? Thank you. Herlinda, are they roasted? Or fresh peppers? If roasted, they should be OK to freeze, but you should do so right away. If fresh, check for any signs of rot. If you see none, you should be fine. Hi, I want to share a freezer storage method. A friend showed me to put canned chipotle peppers (whole) with some of their sauce into a clean ice cube tray in the freezer, one pepper per compartment. This way, you don’t have to try to use them all before they spoil in the fridge. Keep in the freezer, pop out a pepper when needed. 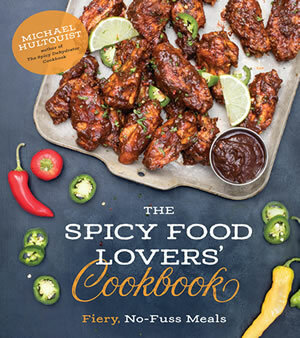 I wanted to try this on some Hatch green chilies which I had roasted. After roasting and allowing the peppers to cool down, I slipped off the skins, removed the stems, but left the seeds in. Chop in a food processor, pour into ice cube tray, and freeze. Once they’re frozen, pop out the pepper cubes, store in the freezer in a zipper bag. Drop a cube (or a couple) into soups, sauces, or whatever else needs some chilies. I’ve also done this with canned whole chipotle, instead of freezing them whole, and they seem to work out well. Pour entire can of peppers, sauce included, into processor, and chop for a few seconds, then pour into ice cube tray for freezing. Food processor blends it all together nicely. Perfect, Chris! Thanks for sharing! Dan, absolutely, you can freeze any chili peppers. You can also dry them in the oven, but you need to make sure the temperature is not too high or the peppers will cook. Best to dry them at about 130 degrees F or so, with a fan going. You may need to have the oven door cracked. 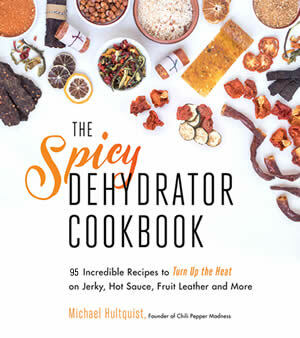 See this page for Dehydrating Chili Peppers. I froze my peppers. I want to make pepper powder from them. I got them out of the freezer, cut in half and placed them on a tray with a towel under them outside. Problem color is turning brownish. Will that affect taste? Walid, if the inside of the peppers are brown, they were probably starting to go bad before you froze them. If there is a lot of brown, I probably wouldn’t use them. If there are just some very small parts you can scrape away, that should be OK. If I freeze my peppers. Will they still work for HP made salsa and stuffed peppers? Lepha, yes, you can use frozen peppers for making salsas and stuffed peppers. Absolutely. Best of luck! Pat, is your intention to ripen them and eat them? Or dry them to grind or make something decorative? If they’ve turned red, they’re most likely ripe, so you can use them or store them in the fridge. If you want to dry them, let them hang in dry, open air, but watch for signs on mold or soft spots. Not good. Let me know what you’re trying to do and I can help. Hi Mike, I want to make powdered chilis for Sambal Ulek, which is just roughly ground up Thai chilis, with added vinegar and salt. I have several bags of frozen red Serranos. Will those work, and should I dehydrate whole and then grind, or would it be best to chop, so they don’t turn to mush in the dehydrator. REPLY: Sarah, yes, this will work. If you want to dehydrate them, you can rough chop them to dry them faster than drying them whole. Let me know how it turns out. — Mike from Chili Pepper Madness. How long will chili’s last in the fridge once they have been thawed completely? REPLY: Cheryl, they should last a few days if they’re wrapped up, but I would use them right away. — Mike from Chili Pepper Madness. Hi—-I grow dozens of varieties of peppers and chilis. I dehydrate those that I do not use right away or freeze. I then grind them all up, sweet, hot, and stinking hot!, all together in food processor. But the color, due to greens and reds in the mix, is very dull—- and sometimes way too hot! So i add a lot of sweet smoked paprika to sweeten things up and give good red color. I have so much, though, that i need to preserve it all. Can I freeze this powder? Or just store in fridge? Or will that diminish the flavor, etc.? REPLY: Randee, yes, you can freeze chili powder or store it in the fridge. It would be best to vacuum seal it to stay fresher longer. — Mike from Chili Pepper Madness. Have never eaten a jalepeno pepper, just how hot are they? REPLY: Joey, technically they measure about 5,000 Scoville Heat Units, which isn’t that hot when compared to something like a habanero, which is about 300,000 SHU. However, they still have a bit of a kick for most people. — Mike from Chili Pepper Madness. Hi, Mike…I took my Thai chilies out of the freezer, to plant the seeds. Would you dry the seeds, before planting? If so, dry how many days? REPLY: Peterson, you can bring them to room temperature then plant them as normal. There is a possibility of seed damage if they were frozen wet, however. If you’re concerned, take several of the frozen seeds and perform a germination test on them. If you get a low germination rate, then I would suggest getting new seeds. — Mike from Chili Pepper Madness. REPLY: Dawn, it depends on what you want to ultimately do with them, but I like to wash then dry them, then chop them and freeze them. I do chop off the stems. — Mike from Chili Pepper Madness. I just picked a bunch of hot peppers from my garden threw them in a bag..sealed but didn’t wash first. Should I throw them away? REPLY: Janet, no, they are still good. Just wash them afterward. — Mike from Chili Pepper Madness. My Chillies seeds have gone brown are they safe to eat. REPLY: Mo, they are still safe to eat as long as they haven’t rotted inside, though the peppers certainly won’t be as fresh. You can easily remove the seeds, or just go with fresher peppers. — Mike from Chili Pepper Madness. Just FYI we are still eating chillies from the freezer that were picked and frozen 18 months ago. They still taste great and haven’t lost any appearance. Just stored in an airtight container. Didn’t expect them to last so long. I Have A Resource to Collect a Lot of Green Chili and Develop a business, But I have no Proper Method of Preserve. Please Help & Send me to give a proper guideline. 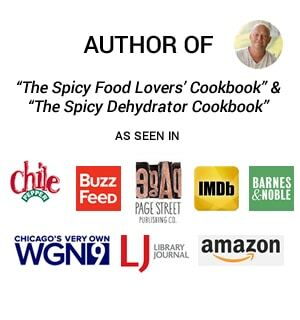 REPLY: I have some preserving information here you can review: https://www.chilipeppermadness.com/preserving-chili-peppers — Mike from Chili Pepper Madness. Can you refreeze chillies after they have already been frozen and thawed out? REPLY: This is from Foodsafety.gov: “Thawed or partially thawed food in the freezer may be safely refrozen if it still contains ice crystals or is at 40 °F or below. Partial thawing and refreezing may affect the quality of some food, but the food will be safe to eat.” — Mike from Chili Pepper Madness. Do you remove the seeds and stem before you freeze them? REPLY: Brenda, you can if you’d like, but sometimes I don’t and do it later. – Mike from Chili Pepper Madness. How long of a freezer life do they have? REPLY: Deb, I usually go through the Winter, up to 6 months, though you can keep them longer if you double wrap them or use a vacuum sealer. Mike from Chili Pepper Madness.